Relive four seasons of the action and adventure on the high seas when Michael Bay's Black Sails: The Complete Collection arrives on Blu-ray™ (plus Digital) and DVD October 16 from Lionsgate. The three-time Primetime Emmy® Award-winning series (Outstanding Sound Editing, 2016; Outstanding Special and Visual Effects and Sound Editing, 2014) tells the classic story of feared pirate Captain Flint and his many foes - from Captain Charles Vane to the legendary Long John Silver, and many more - twenty years prior to Robert Louis Stevenson's classic novel, Treasure Island. With over 2 hours of special features, Black Sails: The Complete Collection on Blu-ray and DVD includes all 4 seasons - 38 episodes - on a 12-disc set for the suggested retail price of $59.99 and $49.98, respectively. The golden age of piracy collides with encroaching civilization in four action-packed seasons of Black Sails, from Executive Producer Michael Bay. 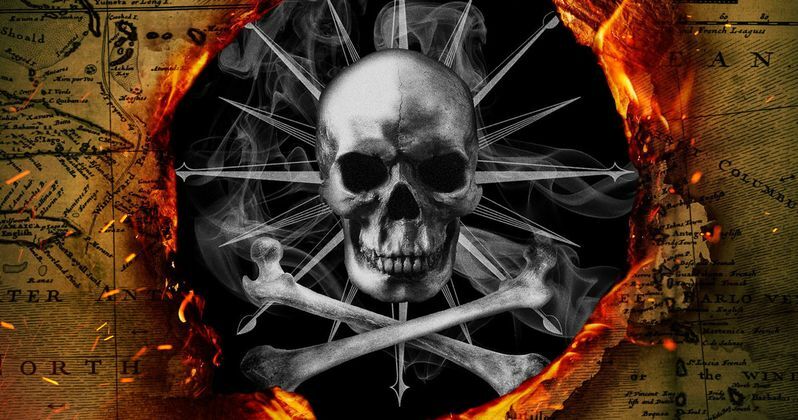 The action begins in 1715 on New Providence Island, lawless and overrun with history's most notorious pirate captains. The most feared among them? The complicated, driven Captain Flint. Joined by Eleanor Guthrie, a smuggler's beautiful daughter, Flint schemes to win the ultimate prize and keep his adversaries at bay. But enemies abound, in the form of the infamous Captain Charles Vane, the Royal Navy, Flint's fellow cutthroats, his own inner demons, and an exiled legend whose name brings on the shivers - a man called Long John Silver. Feature Run Time: 35 Hrs., 56 Mins.